Gram is a measure. And Graham is a cracker. Is this the most name-like spelling of them all? Thanks to Clare for suggesting Graeme as our Baby Name of the Day. First, let’s be clear – despite the ‘ae’ spelling, Graeme is just another spin on Graham. Same pronunciation. Graham comes from Grantham. And Grantham’s roots are unclear. The ham is easy enough to explain – it is a familiar element meaning homestead. The first part could come from a personal name, or possibly a word meaning gravel. Either way, Grantham is a place name, now famous thanks to Downton Abbey. Robert and Cora are the Earl and Countess of Grantham, typically referred to as Lord and Lady Grantham. As for graham crackers, they owe their name to Sylvester Graham, a nineteenth century health reformer and minister. The good Reverend Graham imagined that eating a diet of unremarkable food would help the faithful control unhealthy urges and embrace clean living. Today they’re more treat than health food – one imagines Sylvester would have frowned on s’mores – but the name endures. Graham has a long history as a given name in the US, but Graeme made his debut in the Top 1000 in 2012, charting at #215. First, we’re rather fond of elaborate spellings for single-syllable names, like Claire instead of Clare or Clair. Second, Graham is very much in vogue these days, rising rapidly to #215 in 2012. He’s been in the Top 1000 almost every year since 1880, but this he’s currently at his most popular ever. Just as Rhys, Reese, and Reece all co-exist, it is no surprise to see Graeme and Graham both chart. Single-syllable names for boys are having a moment, from Finn to Jude to Chase, and we’re always looking for new possibilities, names that are just a little bit different. Lastly, some suggest that Graeme may be a more Scottish spelling of the name. Maybe so. 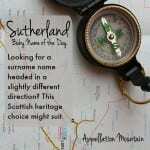 If you’re after a heritage choice, Graeme might seem like a way to distinguish your child’s name from all of those other not-as-Scottish Grahams, just like Rhys feels more authentically Welsh than Reece. But in any spelling, this one is quite definitely Scottish in feel. Clan Graham dates back centuries. Sir William de Graham was one of the knights who accompanied King David I when he claimed the throne and became King of the Scots in 1124. There are Graham (or Graeme) tartans, and an active Clan Graham society. Kenneth Grahame wrote The Wind in the Willows. In Crosby, Stills, Nash, and Young, this is the given name of Nash. Cecil Ingram Connor III was better known as influential alt country trailblazer Gram Parsons. Graham Norton is the British late night talk show equivalent of Jimmy Fallon. Then there’s inventor Alexander Graham Bell. And let’s not forget Monty Python’s Graham Chapman. All of this makes Graham feel mainstream – familiar, yes, but not overused. Graeme is his slightly more distinctive cousin, more likely to read as a Scottish heritage choice. 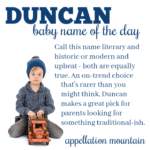 It’s a solid name for a son – strong and distinctive, with plenty of distinguished bearers in every field of endeavor. As a genuine, bonafide, British born Graeme, I quite like it. Over here it is most definitely a two syllable pronunciation, and people tend not to have too much trouble with saying it. I have some American friends and maybe the person who mentioned the emphasis people put on the -ham in Graham has a point because they have never had any trouble with my name. The problems arise with spelling. Graham is far more commonly used here and unless you spell it for people they automatically go with Graham. However, I use this to judge people’s attention to detail; if I have sent an email from work with a signature in large bold print which they can see, and they reply with the wrong spelling then I am unimpressed. I take no offense, but I’m likely to lose a little faith in them. I once worked for a manager who spelled my name wrong for 6 years and this was indicative of his whole half-arsed approach to his work and very few of his employees had any sort of respect for him. Celebrate the individuality! If you want to give people a real tongue twister, go with some Irish gaelic names: Tadgh (pronounced Tyge), Caoimhín (Kevin), or Oisín (Osheen) perhaps. My three month old is named Graham Wilson. We toyed with the Graeme spelling, which I really like, but I figured going with Graham would cut down on mispronunciations — which was important to me because our last name is already a tough one! Yes, my understanding is that Graham is only a one-syllable name in the US; everywhere else in the English-speaking world it is pronounced with two. I only discovered the Gram pronunciation after joining a name forum with a lot of American members (I grew up in Canada). I prefer the Graeme spelling and am forever recommending it to people searching for an uncommon but not ‘out there’ name. So handsome and it works at any age. There’s also Graham Kerr, a British chef known as “The Galloping Gourmet” whose TV show aired from 1969 – 1971. Yes, I’m dating myself! I second the comments below! I’ve always been of the understanding that Graham is SUPPOSED to be GRAY-um, but has been altered slightly by American tongues (whose owners might be aware that the H is silent, and therefore overcompensating). Graham is, to me, at least 1.5 syllables! Graeme seems most appropriately pronounced the same way. Even if Graeme truly is a single-syllable name, shouldn’t it be GRAYME (rhymes with blame) anyway? If it’s GRAM, what’s the E doing there? I was just coming to say that I’d not lump Graham/Graeme in with the single-syllable names at all, as it’s really more of a two-syllable or at the very least a one-and-a-bit-extra… but I see that the first commenter already beat me to it. Seeing this name featured today has put me in such a good mood, since Graham is the name of my favourite uncle! Interesting … I’ve known one Graeme and two Grahams, and since they all pronounced their names the same, I didn’t even think to dig into it. But clearly there’s room for debate! I love Graeme pronounced Grey-em. I actually liked Graham pronounced that way, but I think it would be near impossible to convince Americans to say Graham that way! Graeme they might oblige you!